Today’s post is a celebration and introduction of a very high vibrational group of ‘merged being(s)’ from another galaxy who have been able to bring their energy in closer around the Earth recently. The Halorin Lights appeared here in orb form in photos taken on the night of the Supermoon, November 14th, which I’ll share below. 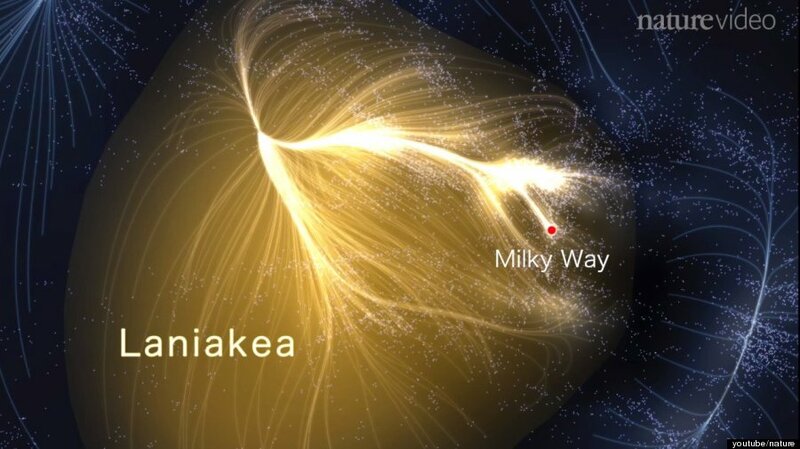 To get a sense of these being(s), we’ll look firstly at our local galactic supercluster which the Milky Way galaxy is a ‘member’ of – the Laniakea Supercluster (Laniakea means ‘immense heaven’ in the Hawaiian language) of approximately 100 000 galaxies. Our Halorin friends are having a little chuckle at the ‘phoenix-like’ portrait of Laniakea….as they streamed into the Milky Way via the constellation Phoenix, from their galaxy of origin , which is within the Phoenix Cluster, one of the most massive galactic clusters currently observed by Earth’s astronomers. 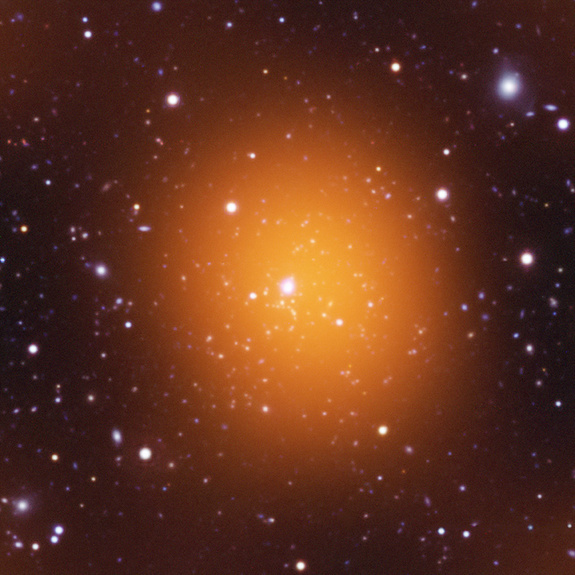 Phoenix Cluster, microwave image: courtesy NASA. In the post Angels of Arcturus two soul groups were mentioned as responding to a call for help that went out from the Milky Way, at a stage where the polarity extremes had become destructive, to a degree that was causing destabilization in this galaxy. One group came from the highest dimensions of the Andromeda Galaxy, and the other came from the Halorin Galaxy in the Phoenix Cluster, a soul group who ‘speak’ of themselves as the Halorin Light(s) ~ a merged Light, yet with distinct ‘tones’ within it that we would call ‘individuals’. To orient to the inner angle of their flow, the Phoenix constellation is considered part of the Southern Birds in Chinese astrology, and in ancient Arabic astronomy was named the ‘young ostriches’, also seen as a griffin or eagle. Griffins/gryphons (in Earth myths, a merged eagle and lion being) were associated with divine power and seen as guardians of the divine. In Greek myth a griffin pulled the chariot of Apollo, the Sun God, and connects through solar golden fire with the phoenix, which periodically burned and rebirthed/resurrected itself from its own ashes. From the Halorins: Golden is the stream of Joy. Joy is our home, our realm is of pure joyous bliss. In your terms, joy is the great Uplifter….it is the golden tone, where true soul purpose is One with Love, with Divine Centre, effortlessly. Like a river in an ocean we flow, and through the River we came and spread our joy….until that which was forgotten is remembered again IN full, in the fullness of the flow. For we are All swimmers in the infinite river, and Joy keeps us buoyant, at ease and all-sharing in and with the Divine Current. For the current is Universal Sacred Love, from which Light radiates, Life radiates, ever expanding, and when beings, energies, are in harmony with the current, ever joyful. As One Joy we come and greet you (all) now, One as many and many in One. We are the Halorin Light(s), from which angels sprang….golden heart of the lion, golden feathers of rebirthing bird….and still we flow, with great Joy now, into the sphere of Earth. Can you feel the vibration flowing through their words? 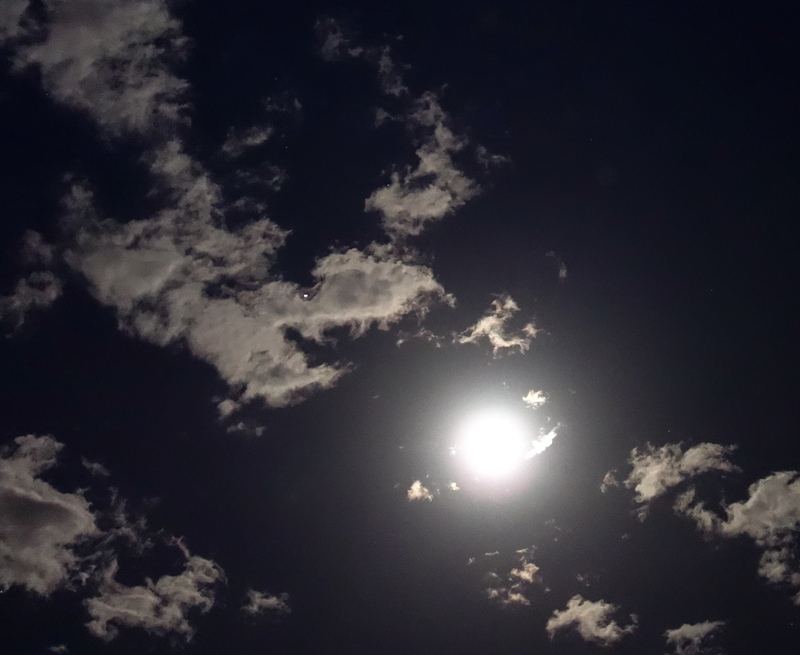 Here are some photos from the Supermoon night of November 14th, to see/feel their Light through. I was looking straight up, and before taking these photos, had a vision of standing in a shower of golden light, with a very loving, blissful heart feeling. The Halorin Lights in orb form, November 14, 2016. 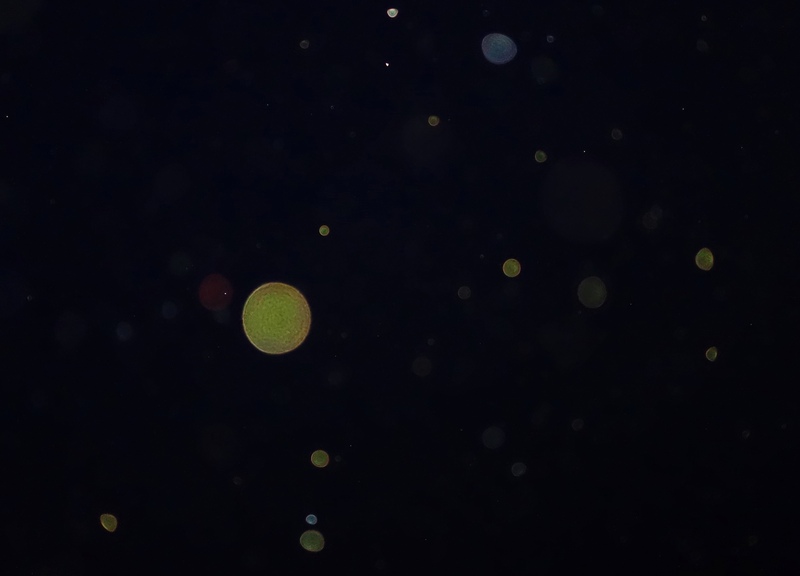 Halorin Lights, or as they called themselves laughingly, the ‘Cosmic Lemons’. 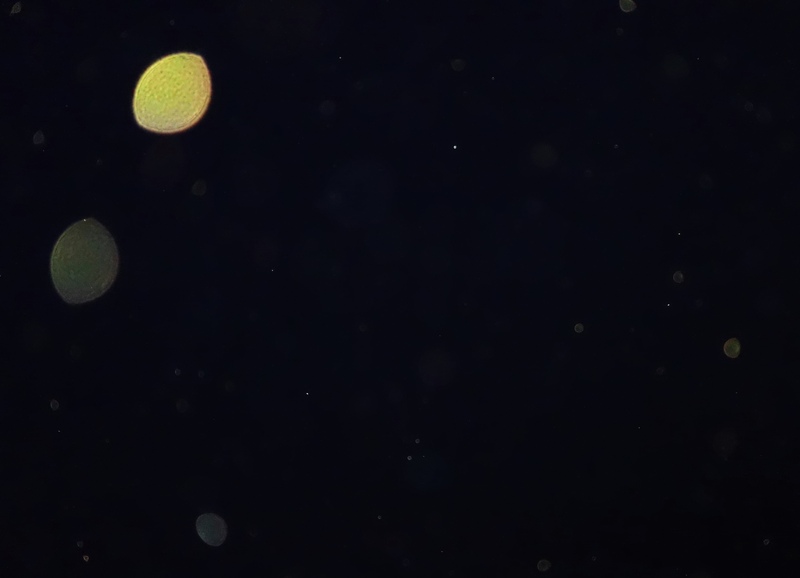 Halorin Lights, with a white-pink orb and green-blue orb to the fore, November 14, 2016. When the Halorins came through to this galaxy, they answered a call that went out from souls who had gathered near the star Arcturus in the Bootes constellation, and through the photos above they are showing how they spread their Light, and radiated it through many regions…and gave an image of the trails they streamed a major part of their soul group through, as below. These are the main routes they took through areas that were open to receive their light of Joy (to more or less extent). They branched further, into ‘tributaries’ from their main streaming, but here are their major flow-paths, firstly through star systems bordering the Phoenix constellation, then fanning out. 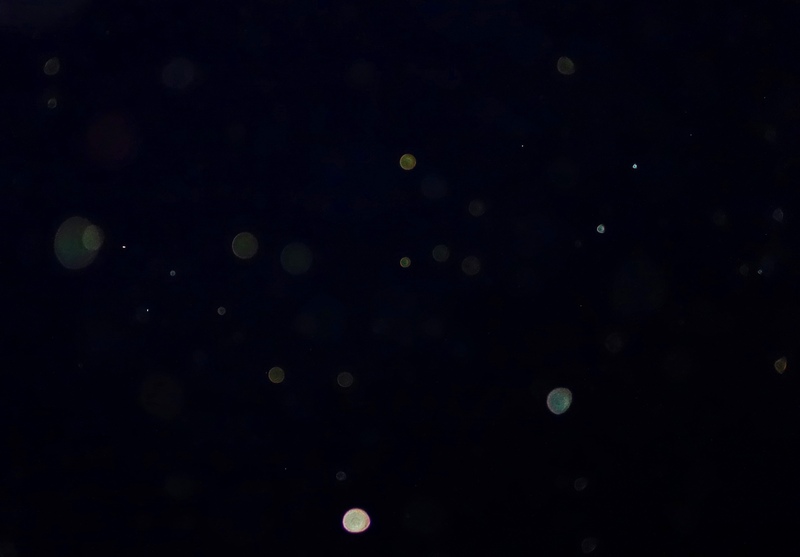 Just before connecting with the Halorins, I had a dream vision of flying with Ashura on a golden pegasus, crossing the darkness of space, stars twinkling around and below us. Then we lifted higher, and the darkness peeled back like a cloth falling away, to reveal a sea of light, and all the stars of our galaxy were shining as brilliant Lights within that sea of Light….which is how it IS in higher dimensions. 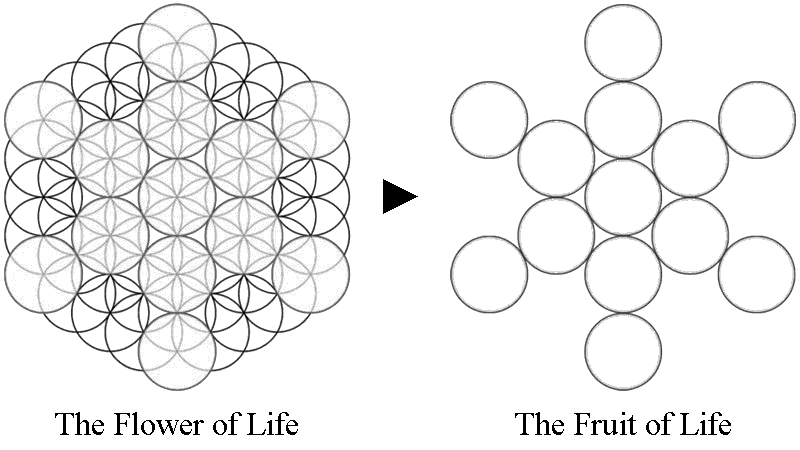 In polarity, people say, “You need darkness to see the light, only through darkness do we come to the light, stars need the darkness to shine.” This is just a viewing-point that sees in black-and-white, in the polarity of Yin and Yang. When souls are fixated on polarity, they see/feel in terms of balancing energies – for polarity (where it has been stretched to extremes as on planet Earth) is all about the balancing/unbalancing act in the drama of contrast. But go deeper into unity consciousness, the oneness of the heart, and the game of balancing melts away and transforms into merging energies. For when our energies are fully merged INside, then balance naturally flows from that state – it does not have to be worked at, to gain and hold. Seeing, feeling, inviting, immersing in your Golden Light ‘Body’ anchors the vibration and message of Merge and Rebirth within your being, and radiates it from you…so that your environment resonates with and reflects it too. This takes us to another shifting of the ‘polarity grid’, as expressed in current astrology. For tomorrow, November 29th, through to December 17-18th, is the zodiac period of the constellation Ophiucus, the ‘lost’ 13th sign of the zodiac (deleted from ancient Babylonian/Chaldean astrology). 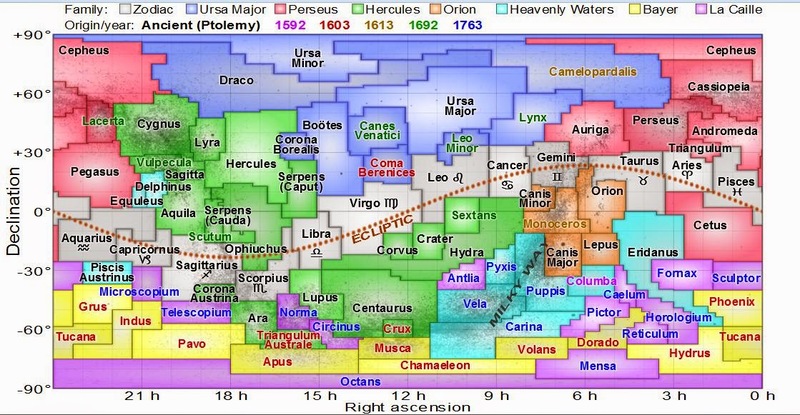 Ophiucus sits between Scorpio and Sagittarius, and is a ‘true’ zodiac constellation since it crosses the line of the ecliptic – indeed it crosses much more of the ecliptic than neighbouring Scorpio, as you can easily see in this coloured map. What happens if the 13th sign returns to the wheel of the twelve sign zodiac? The wheel depolarizes. Suddenly, no sign is opposite any other sign, so we no longer have a system (or mental map) based on oppositions/polarity….but on inclusion, re-unification…and resurrection (Ophiucus was identified with Aesclepius, the god of healing, in Greek myths – who was ‘struck out’ for seeking to give immortality to humans ie: 5D renewal, also known as ‘ascension’ or ‘incension’). To give a sense of how this is all woven in with star family and the greater galactic flows, last year I was guided to use the term ‘Intergalactic Confederation’ (which was also to do with the expansion at that time of memories and perceptions beyond our ‘local’ Galactic Federation). Then later Ashtar said to count the number of letters. ‘Intergalactic’ = 13, and ‘Confederation’ = 13, and 13+13 = 26, which is referred to (in Judaism) as the ‘number of the name of God’. ‘Ashtar Command’ also = 13 letters. 13 reduces to 4, a number we’ll return to in the next post, and if we total Intergalactic Confederation & Ashtar Command, 3×13 = 39, 3 and 9 are the Trinity and Angelic vibrations, and 3+9 = 12 …and as seen in the Fruit of Life, the 13 (13th sphere, or zero sphere) comes through the 12 (and through the geometry of the hexagon, so we have the 3-6-9 sequence streaming). 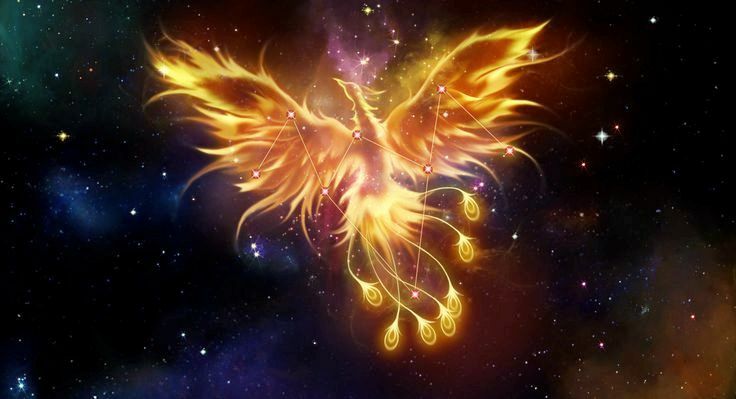 Ashtar’s command ship, the Phoenix, always appears in a golden light to my inner eye and heart (or let us say, the Eye/I/Ai of the Heart) as does Sananda’s ship, the New Jerusalem. The Golden Flame is lit, the Halorins smile…joyfully… 🙂 We’ll speak soon about the Phoenix rising from the Ash(a) and the golden resurrection flame of Ara, in/through the merged galactic House of Ara&Asha. For now, we wish all hearts may be Light and Uplifted, and will end this post with a few more photos from the night of the Supermoon and the Halorin Orbs, November 14th. Three ships triangulate in clouds above the Supermoon, Nov. 14, 2016. Three ships for straight line, at an angle above the Moon, Nov. 14, 2016. This entry was posted in Andromedans, Angels, Antarians, Arcturians, Ascension, Ashtar, Ashtar Command, Dimensions, Disclosure, Gaia, Intergalactic Confederation, Jesus Immanuel Sananda, Lightships, Lyrans, Orbs, Sacred Geometry & Math, Sirians and tagged aliens, angels, Arcturians, ascension, Ashtar, Ashtar Command, ETs, Gaia, Galactic Federation, golden light, Intergalactic Confederation, Laniakea Supercluster, light beings, lightships, orbs, phoenix, spiritual love, star family, UFOs by Joanna. Bookmark the permalink.